What makes a Renaissance man? Traditionally it’s someone who excels in multiple disciplines. Perhaps a person who has written over 600 columns for a newspaper; who is a successful painter; who’s finishing his first novel; who’s composed works have been recorded and played around the world; who, in the first six months of this year alone, will be touring with six different concertos? 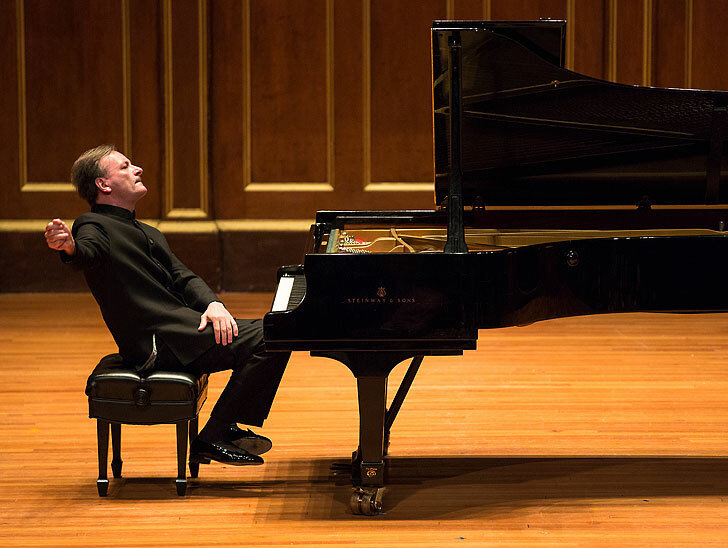 By that definition, pianist Stephen Hough certainly fits the bill. Friday marks the first of his three performances of Liszt’s Piano Concerto No. 1 with the Los Angeles Philharmonic. Hough is easily one of the most acclaimed pianists of his generation. He has recorded over 50 albums, yielding numerous Gramophone Awards and several Grammy nominations. His solo concerts regularly sell out, as do his appearances with orchestras all over the world. Next articleSam Heughan On Upstaging Michael Fassbender and Ditching His Job in London for an Audition in L.A.